Last edited by AZgl1800; 12-29-2015 at 10:38 AM. Wendell, my 89 already had rear speakers and harness as well as an aftermarket fader, which I have now removed. 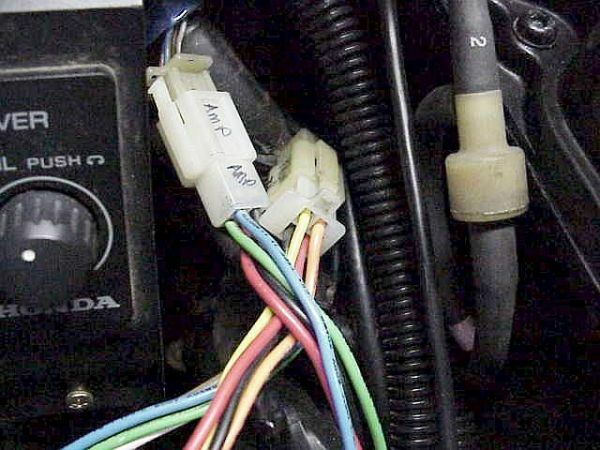 The easiest way to see if you have rear speaker wiring is to open your rear trunk lid and see if wiring is going up into the rear speaker housings through a round hole in the bracket of the hinges. If not, you need a harness. One thing I have been doing this winter is eliminatating all the existing speaker wiring by bringing the radio outputs back to the trunk and wiring monster cable wiring from the trunk to the front and rear speakers. In the trunk I mounted a quad 80 watt amp and a graphic equalizer with front to rear fader. Once set I don't need to get to them while riding since I still have volume and tone controls in the radio itself. If you want details, just ask. In the trunk I mounted a quad 80 watt amp and a graphic equalizer with front to rear fader. Once set I don't need to get to them while riding since I still have volume and tone controls in the radio itself. Rudy I would like the details and a pic of your work in this post would be helpful. 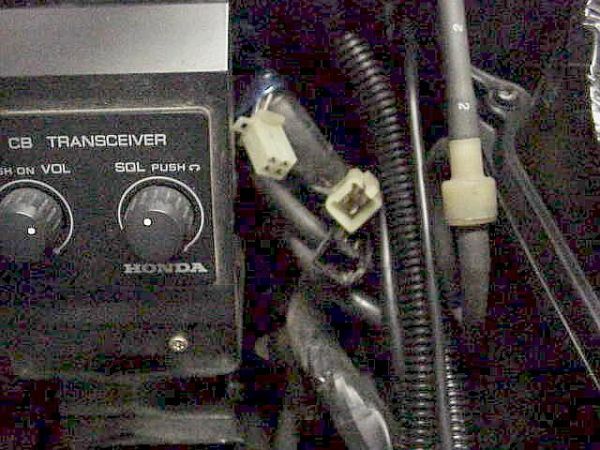 Wendell, the connectors for the speakers to plug into are under the saddle at the rear in the black rubber boot. I'll try to take some shots tonight and give you the details once I escape working for the man. Here is how I eliminated my fader and added an amp and equalizer. This system was designed to use minimum space in the trunk and still utilize the radio as the audio source for everything. The fader is 5 watts and a fairly useless makeshift method of doing fades. It won't support the existing system wattage and it sure as hell won't support higher wattages. Follow the fader wiring to the speaker/radio plugins next to the CB. 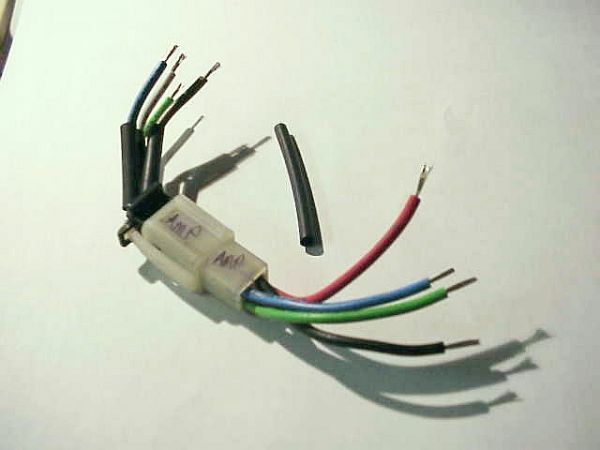 Here are the two jacks (front black male pins and rear white male pins speakers) and one plug (radio output, white female connector) with the fader harness removed. 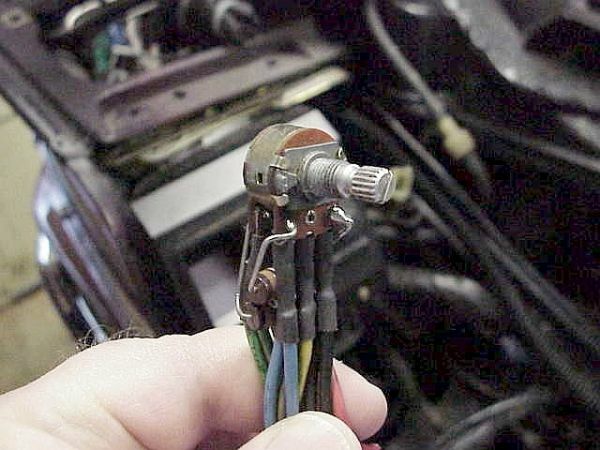 These three connectors are part of the Honda harness. 4 pins each... two for the left side and two for the right side in each connector. 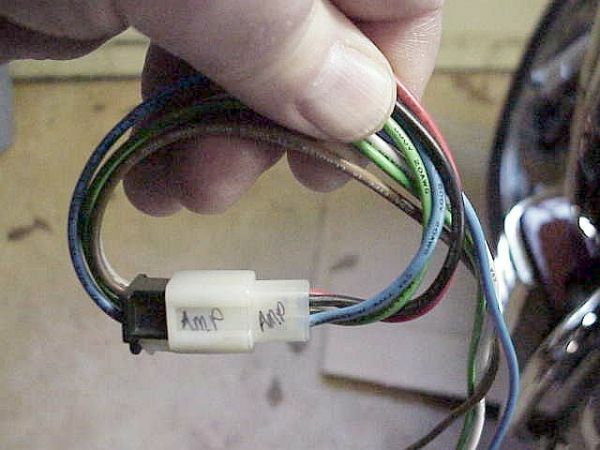 Take the fader harness to make a jumper because we are going to use the bike's own wiring to send the radio output to the rear speaker housings where we can pick it up and send it to the amp in the trunk without making any cuts or mods to the bike wiring. From there we will bridge it to a new wire to take it into the trunk for the new audio system. Fader harness, cut stripped and heat shrink tubing in place.